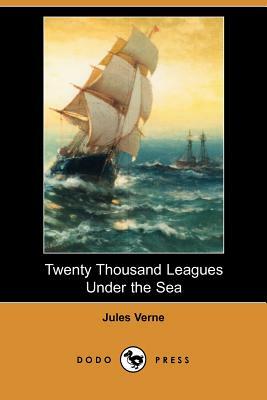 Jules Gabriel Verne (1828-1905) was a French author who pioneered the science-fiction genre. He is best known for novels such as Journey to the Centre of the Earth (1864), Twenty Thousand Leagues Under the Sea (1870), and Around the World in Eighty Days (1873). Verne wrote about space, air and underwater travel before air travel and practical submarines were invented, and before practical means of space travel had been devised. He is the third most translated author in the world, according to Index Translationum. Some of his books have been made into films. Verne, along with Hugo Gernsback and H. G. Wells, is often popularly referred to as the "Father of Science Fiction." Amongst his other works are From the Earth to the Moon (1867), Five Weeks in a Balloon (1869), The Fur Country; or, Seventy Degrees North Latitude (1873), The Blockade Runners (1874), The Field of Ice (1875), The Mysterious Island (1875), Facing the Flag (1879), and An Antarctic Mystery (1899).